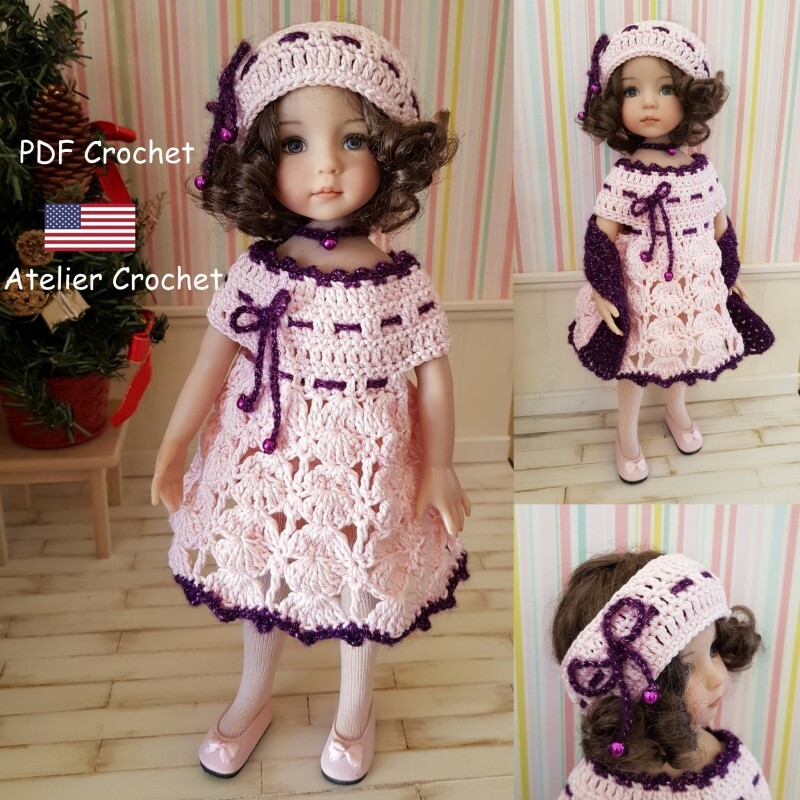 Crochet pattern for 34 cm doll such as Little Darling, Mini Maru or Minouche or 32-33 cm dolls such as Paola Reina or Chéries Corolle. You buy a pdf file with dress, headband and stole pattern. Materials : a size 2.5 crochet hook to fit pink cotton yarn such as Philcoton 3 de chez Phildar and some shiny violet wool yarn (I used a ball of « Strass Light » from Phildar which is no longer available but has been replaced by some similar yarn with « Phil Diamant »), 5 small beads (2 for the dress, 2 for the hairband and 1 for the necklace, 1 small button to fasten the dress. 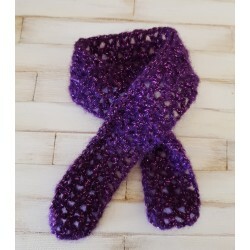 Pattern will be sent by email. Le patron est aussi disponible en français dans la catégorie Patrons poupées 32-34cm.